The European passenger plug-in market ended the year on a positive note, registering a near record 40,500 units in December (+23% YoY), with the 2018 count ending at a record 386,000 deliveries, a 33% increase over 2017, while the 2018 market share ended at a record 2.5%, thanks to an impressive 3,9% performance in December. But if overall, the numbers seem to point to 2018 as more a year of Evolution, instead of Revolution, separating the BEV/PHEV powertrains, there are seismic changes, as this year the European market started to get off the PHEV drug, as we can see on the breakdown between both technologies, with all-electrics owning 66% of sales in December vs 51% in the whole year, which in turn, it was the first time since 2014 that BEVs outsold PHEVs on a yearly basis. What happened for this change to happen? While the introduction of new, longer range BEVs (Jaguar i-Pace, Hyundai Kona EV…), and the production ramp up of popular models (Nissan, Leaf, Renault Zoe, Hyundai Ioniq EV…) surely have helped, the major reason for it was the fall from grace of plugin-hybrids, at the hands of the new, and more demanding, WLTP emissions standard, that was put into practice in the second half of the year, originating even the production stop of popular models, like the VW Passat GTE, or its Golf GTE sibling. Will PHEVs in Europe recover sometime in the future, or are they going to be swallowed by the upcoming BEV flood? One thing is certain, BEVs start 2019 with the upper hand. But the PHEV debacle isn’t equal across all brands, as some (BMW, Mitsubishi, Volvo…) did their homework and continue to thrive under the new rules, leading to some brilliant performances, in particular the #3 Mitsubishi Outlander PHEV. In December, the top spots had some changes, although none of the new faces (Jaguar i-Pace and Tesla Model S) are not really a surprise, as both benefitted from the sales peak in The Netherlands, and the Tesla is a regular here, thanks to the usual last-month-of-quarter peaks. The Renault Zoe ended the year with another Monthly Best Seller trophy and yet another record score (how high will it go? ), while the remaining podium places went for the Nissan Leaf and the evergreen Outlander PHEV. #1 Renault Zoe – The record 5,382 deliveries meant a 67% jump YoY for the French hatchback, this positive score is the result of LG providing more batteries to the French carmaker, thanks to the ramp up of its European factory. Without the batteries bottleneck, we should finally see the real demand for the Zoe. Regarding individual market performances, the domestic market did the usual heavy lifting, by registering 2,558 units (+55% YoY), with other significant numbers coming from Germany (944 units), Norway (327), and Sweden (340 units, new record), making the Zoe a hot selling model, mostly thanks to its unbeatable price vs range ratio. 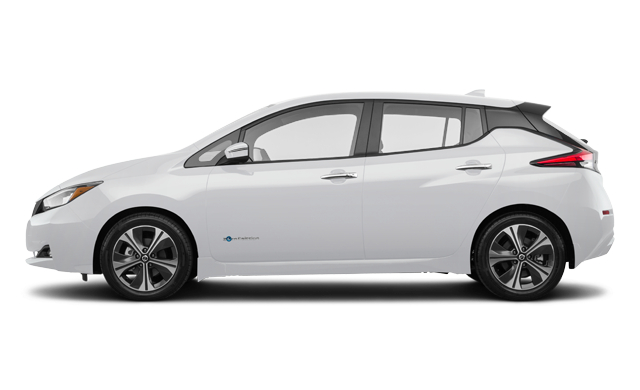 #2 Nissan Leaf – Despite once again being surpassed by its French cousin Renault Zoe, the Nissan Leaf continues to expand its sales, by registering 3,604 units. Looking in more detail at last month performance, the main market was, as usual, Norway (719 deliveries), with France with 447 units, and Sweden (343), following it, while in Spain (204 units), the Japanese hatchback had its second record month in a row. Will this sales surge have some meaning in the future? #Brexit, #Barcelona? 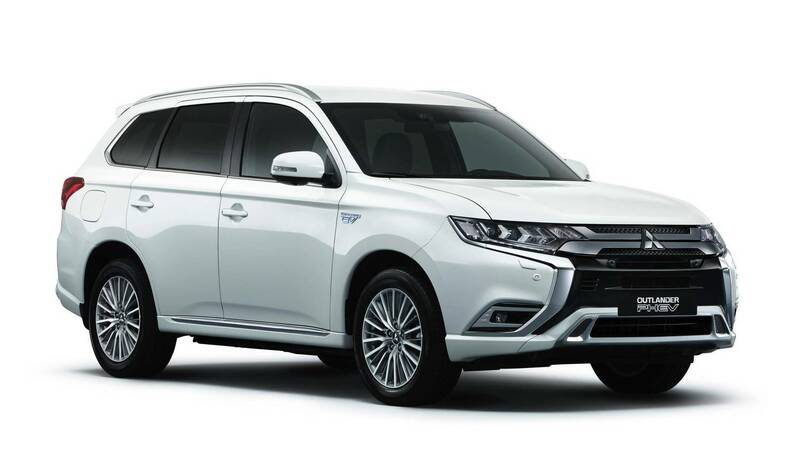 #3 Mitsubishi Outlander PHEV – Europe’s favorite family/towing/winter plugin continues to profit from the specs update (and lack of direct competition), with the Japanese SUV securing yet another Best-Selling PHEV of the Month award and a podium presence in December, thanks to 3,023 registrations, up 60%. The plug-in SUV will continue to offer its unique mix of usable electric range, “affordable” space, AWD and utility keeping it popular in markets like the UK, Norway or Sweden. #4 Jaguar i-Pace – We have a fresh face in the Top 5, and a beautiful one, I might add, with the Jaguar i-Pace benefitting from the production ramp up and the sales rush in The Netherlands, to reach a 4th spot in Europe, thanks to 2,983 deliveries, a new record that should prove to be difficult to beat in the near future (or maybe not, please Jaguar, prove me wrong!). Interestingly, The Netherlands didn’t take all of the i-Pace production, as some crumbs were left for markets like Norway (165 units) and the UK (105), what might already prelude the larger markets in 2019 for Jaguar’s innovative Sports-Crossover Hatchback-Thingy, or, as it is now known among certain Jaguar dealerships: The Money-Making Machine. #5 Tesla Model S – In a time when it’s all “bla, bla, bla, Tesla Model 3, bla, bla, bla”, the old geezer Model S still showed it had a few tricks up its sleeve, thanks to 2,931 units being delivered, its best result in 3 years. Sure, most of it (1,558 units, to be more precise), came from the sales rush in The Netherlands, but numbers were also significant in Norway (600 units) and the UK (230), so the question lies: Is this the swan song for the Model S in Europe, or is there still any life in it, once the newer, cheaper, Model 3 lands? Audi e-Tron: A future Best Seller? Looking at the 2018 ranking, there were a few last minute changes in December, if the top positions remained stable, we start to see some movements in #9, with the Tesla Model X benefitting from the last-month-of-quarter peak to jump two positions, while both the Kia Niro PHEV and Hyundai Ioniq Electric climbed one position, to #13 and #14, respectively, highlighting one of the most recent trends in the ranking: The rise of Korean models. BMW also had reasons to smile about, with the i3 and the 530e hitting record performances, with the hot hatch delivering 2,536 units, while the sedan registered 2,022. The BMW i3 performance is particularly interesting, as it is a car that has been on the market since 2013, with no major changes, apart from the battery size, which proves once again the formula: Bigger battery = Higher sales. 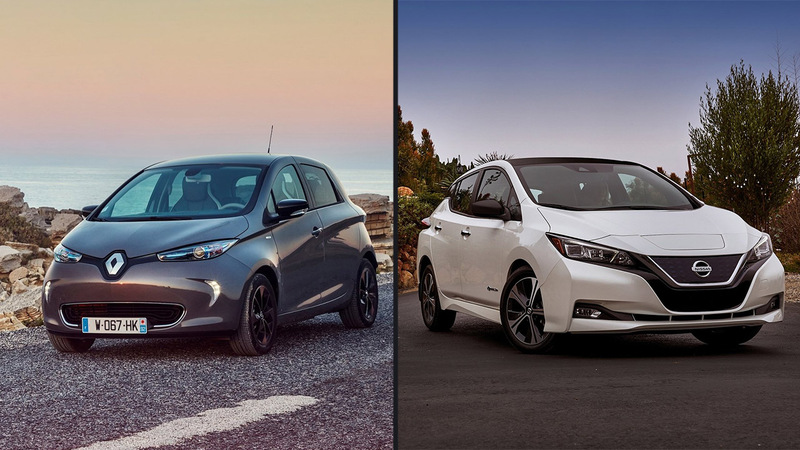 Looking at the 2018 podium, we can see that the Nissan Leaf managed to keep the lead over the Renault Zoe and win the Best Seller title, but I suspect that if the year had 13 months, the French hatchback would be able to steal the trophy from the Nissan model…Nevertheless, congrats to the Japanese hatchback, winning its first European title since 2013. 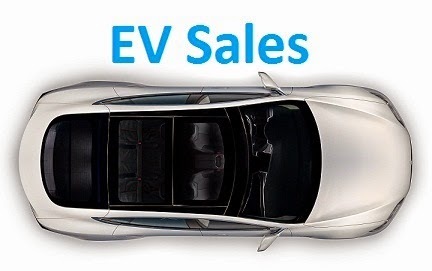 Looking at some sub-categories winners, the Mitsubishi Outlander PHEV was once again the Best Selling plugin-hybrid, taking also the #1 SUV trophy, both Teslas took the Best Selling large car/SUV titles, although the BMW 530e wasn’t that far from the Model S, so the 2019 title edition might change hands, the Renault Zoe was the #1 Small EV and finally, the BMW 225xe A. Tourer took the Best Selling MPV title (well, it helps that it doesn’t have any real competition, right? ), where are the electric Renault Scenic’s? Or the Citroen C4 Picasso’s whatever it’s called these days? 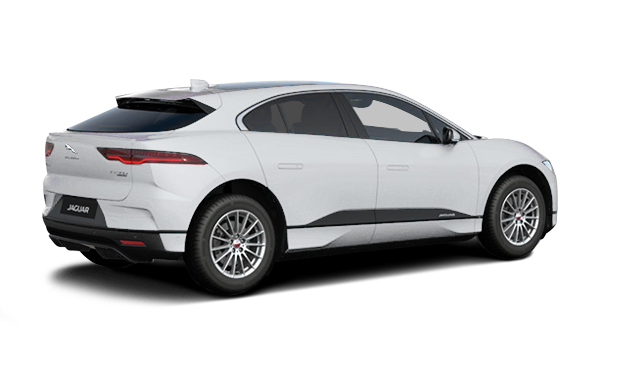 Usually, this is a Top 20, but this time i included the #21 Jaguar i-Pace in the tally, the distance was so small regarding the #20 and its significance so big, that I made an exception, allowing you to see here Jaguar’s Money-Maker. A sure presence in the 2019 Top 20, the question will be: How high? Top 10? Outside the Top 20 21 ranking, a reference to two just landed long-range Crossover BEVs, a type that promises to be the new trend for 2019, the Audi e-Tron delivered close to 700 units in December, while the Kia Niro EV, or e-Niro, delivered over 300 units, no doubt still demonstration units, which should mean that both models should be Top 20 presences and candidates for a Top 10 spot. The Hyundai Kona EV is (finally!) ramping up deliveries, crossing for the first time into the four-digits, with 1,022 deliveries, as it prepares to satisfy a 10,000-something long waiting list. Looking at the manufacturers ranking, last year winner BMW (15%) repeated the win in 2018, while the runner-up Volkswagen (12%), resisted to the advances of the #3 Nissan (11%) and #4 Renault (10%), while Tesla (7%) won the race for the 5th spot against Volvo, also with 7% share. In the LCV category, we had a positive year, with sales up 40%, to some 22,000 units, leading to a record share of 1.0%, with the 2018 winner being, without surprise, the Renault Kangoo ZE, with close to 8,500 units, double of what it had last year (once again: larger 33 kWh battery = higher sales), with the German StreetScooter (4,800 units, +18% YoY) repeating 2017’s #2 spot, relegating the Nissan e-NV200 once again to #3, with 3,300 units. Looking into 2019, if the Best Seller title seems to be already reserved for the upcoming Tesla Model 3, with some 120,000 deliveries, with the Nissan Leaf and Renault Zoe running for Silver at around 80,000 units each, the interesting thing will be to find who will be in the remaining 7 positions of the Top 10, as there will be lots of new incumbents, trying to displace the current holders, so by alphabetical order, here are the contestants: Audi e-Tron, Hyundai Kona BEV, Hyundai Ioniq Electric, Jaguar i-Pace, Kia Niro EV and Mercedes EQC. Also, you predict the doubling of EU EV market in 2019? Is not that too optimistic, as in 2018 it grew just on 25%? Do you think that Model X sales would go down, due to increased competition, at least in Europe, or market growth would make enough place for everyone? And what about world batteries production - is it growing enough to sustain EV market growth? There are 16.209 orders placed right now. It seems like a low number, but new orders will likely come in relatively fast when they start deliveries, so so people see them, then start offering test drives to non reservation holders, announcing the progress in retrofitting Superchargers with CCS... and so on. And the mid range version will sell a lot better, deliveries should start in May. SR I think will be available at the end of the year, even if in not huge numbers. Maybe 120k is not certain but 100k surely is. The reasons why i think sales will accelerate in 2019, have to do with the Tesla Model 3 introduction, this alone will add 100k units, but also the several new models that will land this year, or will have its first full sales year, that i have mentioned in the text. And count in 2020 with yet another acceleration, as the VW ID, as well as others, land. Overall, the numbers are very disappointing. By 2020 , the market is supposed to go to 1 mill in Germany alone. This seems to be completely out of reach. The premium segment is rising however extremely fast. I think as a first move, the premium segment will be conquered first. The mass market needs by far cheaper models. Thank you very much José for your impressing EV-reporting and analysis performance and support for 2018 and many years before. The national mass markets have started to slow down the sales of ‚normal‘ combustion cars. Potential car buyers are waiting for Tesla 3 which 2019 will bring the leading EVs and the mass market competitors under disruptive pressure. Tesla 5 and Renault K-ZE would be the urgently needed ressource efficiency transition of the allday mobility for everybody.